On November 26th, 2013, Taeyang of Big Bang fame, performed at Bimbo’s 365 club in San Francisco for an exclusive event being presented by MTV Iggy and Intel. The event was an all white everything theme. This event brought out many VIPs that rarely get a chance to see Big Bang or any member perform especially from the Bay Area. It also brought people from coast to coast to see one of the most popular idols from Korea perform a special set. The event was like a club environment with it being an 18+ event. There were many people drinking as if it were a nightclub which is rare for a KPop event. The party was started by Choice 37 who played many of the YG classics from Big Bang, the Big Bang individual efforts, songs from 2NE1, and paid homage to the Bay Area with that classic Hyphy stuff. 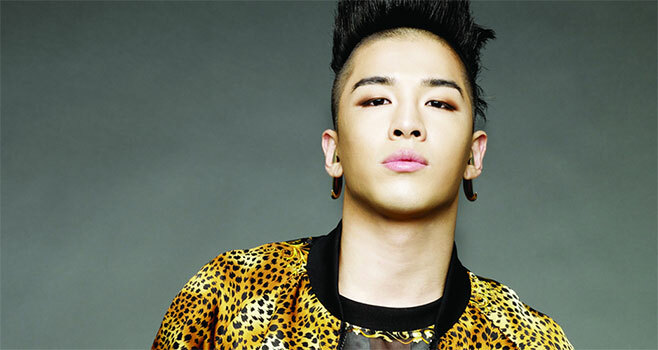 When it was time to perform, Taeyang performed many songs from his personal discography along with songs from Big Bang. He performed “Ringa Linga” twice and debuted his new song, “1 AM”. Many girls and even guys screamed for him and cried when he was in their presence. At the conclusion of the show, he was honored by the city of San Francisco by nearby Campbell mayor, Evan Low. The venue was wonderful because it allowed him to get close and intimate with the fans. He kept asking the fans what songs they wanted him to perform. When the crowd kept requesting “Wedding Dress”, he announced that the track wasn’t available so he performed a special version just for the attendees and allowed the fans to sing with him. Someone also got lucky when he tossed his tank top into the crowd and a person caught it.